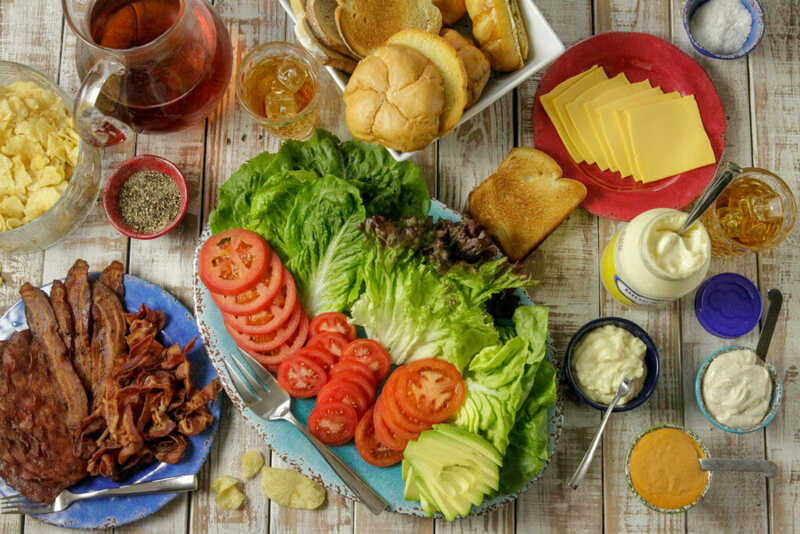 If you’ve never tried it, a BLT bar might be your new best friend – whether you’re looking for an easy family meal or a great way to entertain. 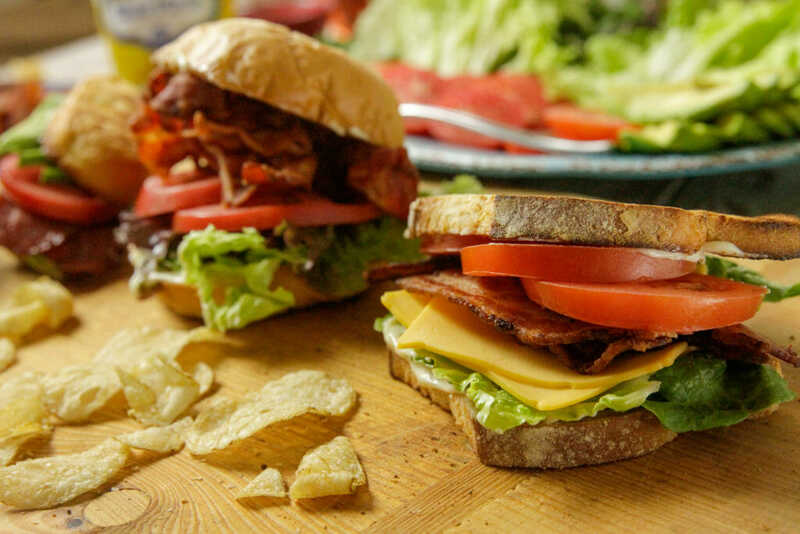 Everyone loves this classic combination of flavors, and a BLT bar loaded with delicious options lets kids and adults alike build their own sandwiches and have fun doing it. Creating a BLT bar is a cinch. You’ll want to offer a few different kinds of each of the basic sandwich components. Make sure to include a variety of whatever looks freshest, most interesting, and most colorful! For the breads, rely on heartier versions, and be sure to have the toaster at the ready; your bread needs to be able to stand up to a multitude of toppings and condiments without falling apart. Crispy Bacon: Try hickory smoked bacon, peppered, maple flavored, or turkey bacon. Fresh Cut Lettuce: Consider butter lettuce, romaine, curly, or red leaf lettuce. Ripe Tomatoes: Go for roma tomatoes, beefsteak, heirloom, or Creole tomatoes. Toasted Bread: Choose Kaiser rolls, thick-cut loaves, baguettes, sourdough, or brioche. 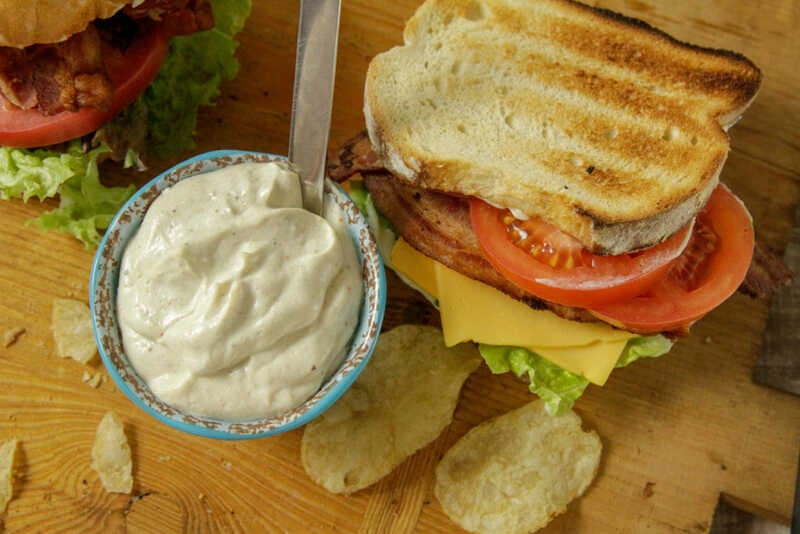 Creamy Condiments: Use your favorite varieties of Blue Plate® Mayonnaise straight from the jar, plus Sriracha Comeback Sauce and Zesty Cajun Mayo. Extra Toppings: Add avocado slices, cheddar cheese, and salt & pepper. One of the best things about a BLT bar is that you can prep most of it ahead of time, and serve at room temperature. Cook your bacon using your favorite method, and let drain on paper towels. Mix up your mayonnaise spreads and refrigerate. Then, closer to mealtime, wash, slice and arrange tomatoes and lettuces on platters. Toast the breads, spread with mayo and sauces, and start piling the toppings sky-high. 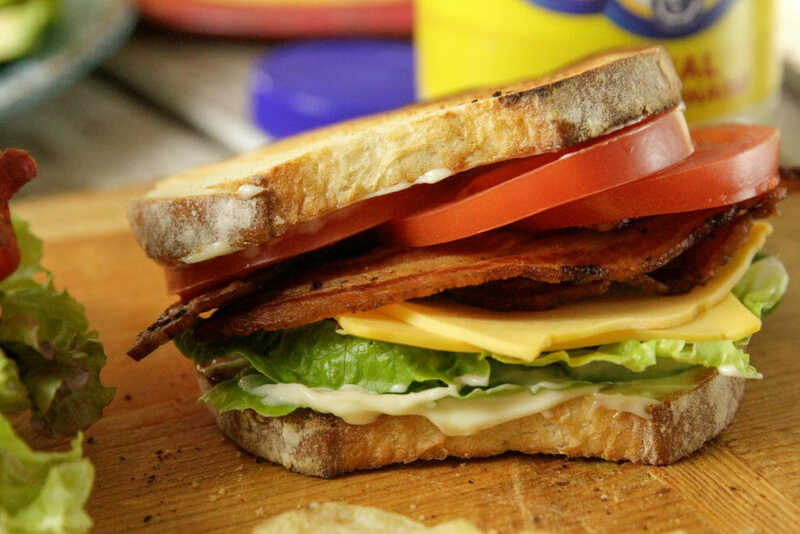 Why not try a combination of hickory smoked bacon, beefsteak tomato, romaine lettuce, cheddar cheese, and Zesty Cajun Mayo on toasted sourdough? 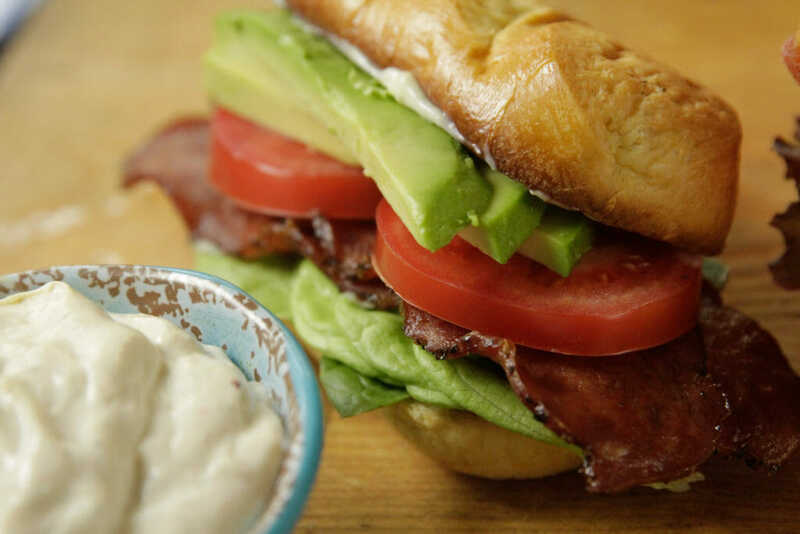 Or, how about peppered bacon, roma tomato, curly leaf lettuce, and straight up Blue Plate mayonnaise on a Kaiser roll? The possibilities are truly endless. And delicious!